Write an interactive novel in ChoiceScript and enter to win $5,000! Questions about the contest? Email us at contest@choiceofgames.com. The contest submission period ended on January 31, 2018. Type your email address below; we’ll email you to announce the winner and other contest-related messages. The winners of the first Choice of Games Contest for Interactive Novels! A tense spy thriller full of twists, gadgets, and emotional depth. An epic story of war, peace, magic, and politics in ancient China. A high-stakes fantasy competition judged by the gods themselves. A fantasy epic that pushes the boundaries of narrative and ChoiceScript. There were 21 qualifying games in all. The author pool included both first-timers and veterans; and the genres ranged from high fantasy to gritty dystopia to steampunk. We were thrilled with the enthusiasm, creativity, and hard work that we saw in all the contest entries—and even more, with the active, engaged, supportive community of ChoiceScript authors that the contest fostered. We’re still considering the possibility of a second contest in the future. Thank you to everyone who entered! Completing a full-length ChoiceScript game is an achievement in itself. If you’ve got a finished ChoiceScript game of your own, please consider submitting it to our Hosted Games label. We hope you’ll all keep writing and playing! Entries must be submitted by January 31, 2018. There is no fee to enter. See the official rules for details. Reside in the fifty United States or Washington, D.C., the United Kingdom, or Canada (except Quebec). Ineligible to enter? Email us at contest-ineligible@choiceofgames.com and tell us why. (For example, if you’re not a resident of the nations we listed, tell us where you reside.) We might not be able to do anything about the contest this year, but if we run the contest again, your feedback will guide our efforts next year. And don’t forget that you’re probably still eligible to publish a game under the Hosted Games label, which accepts authors of any age and from most countries in the world. First Place: Winner will receive $5,000 and publication, including 25% royalties on sales of the published game. Second Place: Winner will receive $3,000 and publication, including 25% royalties on sales of the published game. Third Place: Winner will receive $2,000 and publication, including 25% royalties on sales of the published game. In addition, Hosted Games has offered to publish any competition entry that does not win the contest, as long as it meets the Hosted Games standards. Here’s what we mean by those categories. Does each character have a distinct personality and voice? Does the dialogue feel natural? Do the characters’ personalities and plots avoid overused tropes? Is the setting well-communicated through descriptions and characters? Does the plot branch in meaningful and interesting ways? Does the plot proceed in a natural and cohesive manner? Are there multiple things for the player’s character to want? Are there multiple satisfying ways for the player’s character to achieve their goals? Are there multiple potential happy endings? Are there interesting and difficult tradeoffs between different goals? Does the game effectively communicate to the player why they reached the ending that they did? Do the player’s choices lead to meaningful differences in the story? Does the game effectively communicate the potential effects of the player’s choices? Do the options give roughly equal chances of success? Does the game avoid surprise advantages or disadvantages? Are there interesting and difficult tradeoffs to be made in the player’s choices? Do the characters reflect the full diversity of the society in which the game is set? Are all types of people (especially groups traditionally underrepresented in media) treated respectfully and non-stereotypically? If there is romance in the game, are there equally satisfying romance options regardless of the player character’s orientation? Are the sentences in the game beautiful? Are they well-constructed? Are individual words well-chosen? Does the tone fit the theme? Is the spelling and grammar correct? Are the skills balanced, with no single skill being much more useful than the others? Do the stats communicate something about the game’s theme? Do the stats track story effects in useful and interesting ways? Are there meaningful secondary stats which track against the player’s goals? How many words do players read each time they play? (We call this the length of a “playthrough.”) Is each playthrough long enough? Is the game the right length for the story that it’s trying to tell: neither too rushed nor too slow? Is the code executed efficiently, with a minimum of cut-and-paste scenes? Do we just love your game? See the official rules for details, which are binding. Can I enter the contest if I am under 18? You have to be at least 18 years old when you submit your game, which means you have to be 18 on or by January 31, 2018. If you will be 18 by January 31st, 2018 but are not 18 when you are ready to submit, don’t submit until you turn 18. What’s the difference between entering this contest and publishing my game under the “Choice of Games” label? Experienced writers can request to write a game under our “Choice of Games” label; Choice of Games pays approved authors in advance, before the game is written, and we work with our authors throughout the editorial process. In contrast, to win this contest, authors must submit an entire finished game. Anyone who meets the age and residency requirements can enter the contest, including authors who don’t qualify for an advance from the “Choice of Games” label. If you have publications that qualify you to write directly for the “Choice of Games” label, that’s the safer and more direct route. If you don’t yet qualify for the “Choice of Games” label, and you meet the age/residency requirements to enter the contest, we invite you to enter the contest. What’s the difference between entering this contest and publishing my game under the “Hosted Games” label? Authors who don’t meet the age/residency requirements for this contest may nonetheless be able to publish games under the “Hosted Games” label. The “Hosted Games” label also allows publishing significantly shorter works. The minimum length for HG publication is 30,000 words; contest entries must be at least 100,000 words long. Finally, games under the “Hosted Games” label are judged by looser standards. HG games don’t have to allow the player to choose their own gender, as contest entries do. HG forbids deeply offensive material, such as scenes that glorify sexual violence or racist attitudes, but allows other less offensive material. Should I publish my game under the “Choice of Games” label, or the “Hosted Games” label, or should I enter this contest? If you qualify to publish a game directly under the “Choice of Games” label, we recommend publishing directly with CoG instead of entering the contest. Otherwise, to publish with us, you’ll have to write a game on your own. If you and your finished game qualify for the contest, we recommend entering the contest. If your game doesn’t qualify for the contest, you may still be able to publish under the “Hosted Games” label. I already have a finished game, ready to submit to Hosted Games. Should I enter the contest or just submit to HG? Contest entries won’t be published until the contest is over. If you submit to HG now, we can publish it sooner, and you can start earning money sooner, but then your game won’t be eligible for the contest. If your game wasn’t written with our judging criteria in mind, we recommend against submitting your game to the contest as-is, because your game will probably have a hard time competing against games that were written to satisfy our criteria. In that case, you might want to modify your game to incorporate our criteria, or just submit to HG and get started on your next game. I have a work in progress (WIP) game that I started before this contest was announced. Is my game eligible to enter? Yes, but you’ll need to finish your game before you enter. Don’t forget to review our judging criteria, to make sure your game has the best possible chance of winning. Am I allowed to publicly beta test my contest submission? Am I required to beta test my contest submission? Beta testing is not formally required, but it’s almost impossible to write great material without anyone else’s feedback. Will the winning entry be published under the “Choice of Games” label? It is our intent to publish the winning game under the “Choice of Games” label. 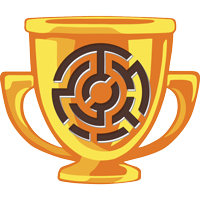 We think it’s possible that if very few people enter the contest, we might have to decide that none of the entries qualify for the “Choice of Games” label, in which case we’d publish the winners under the “Hosted Games” label. Can multiple authors submit a game as a team? Yes. Your team can have no more than 5 members, and the team members must all meet the residency and age requirements. Do I retain the intellectual property to my ideas, characters, and setting? Yes, just like with a regular Choice of Games or Hosted Games contract, the winners retain their rights to their ideas, characters, and setting; we retain the rights to ChoiceScript. By submitting your Game in this Contest, if you are selected as a winner you grant Sponsor the exclusive worldwide publication rights to your Game in all formats. If you are not selected as a winner, Sponsor’s exclusive publication rights to your Game terminate when you are eliminated from the Contest. If you are not selected as a winner and Sponsor notifies you that it wishes to publish your Game, you agree to negotiate the terms and conditions of a publishing agreement exclusively with Sponsor for a period of 30 days after you receive notification from Sponsor. If you and Sponsor have not reached agreement after 30 days, you may offer the Game to other publishers on the condition that before you enter into an agreement with another publisher, you will afford Sponsor the last right to publish your Game on the same terms and conditions offered by any other publisher.